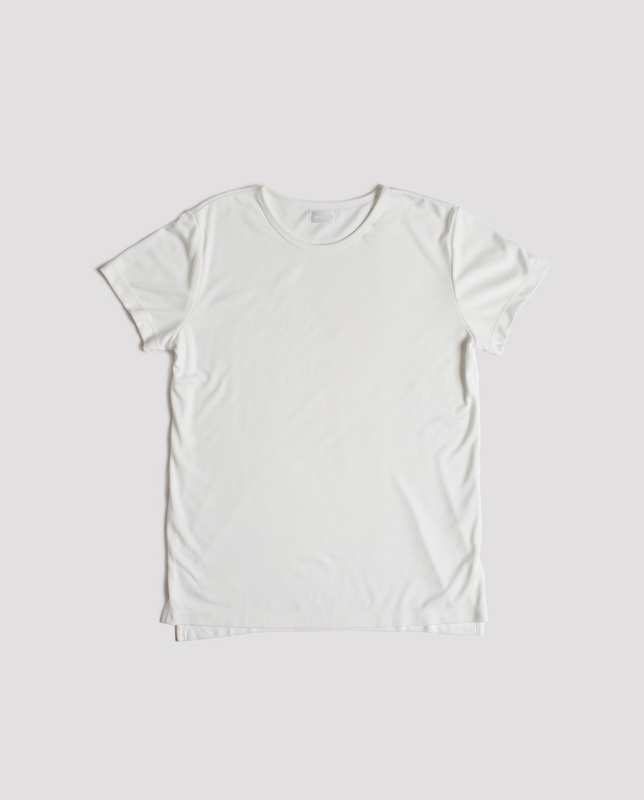 Japanese interlock stitch knit with a top stitched hem and cuff. 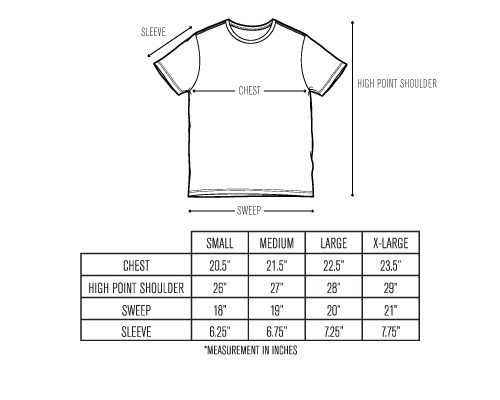 Interlock knits have a double knit construction, which gives it a thicker quality. 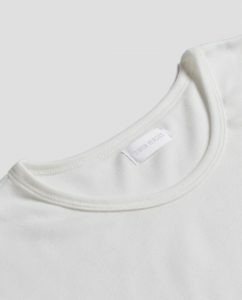 It is the tightest stitching of all knits. This trait gives it the smoothest surface and a very fine hand. 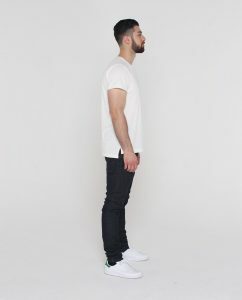 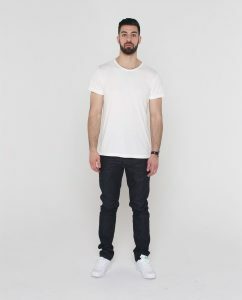 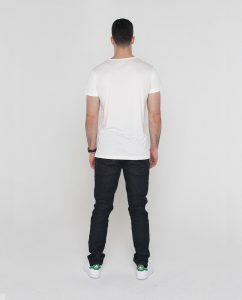 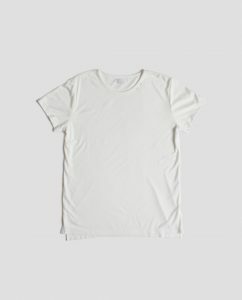 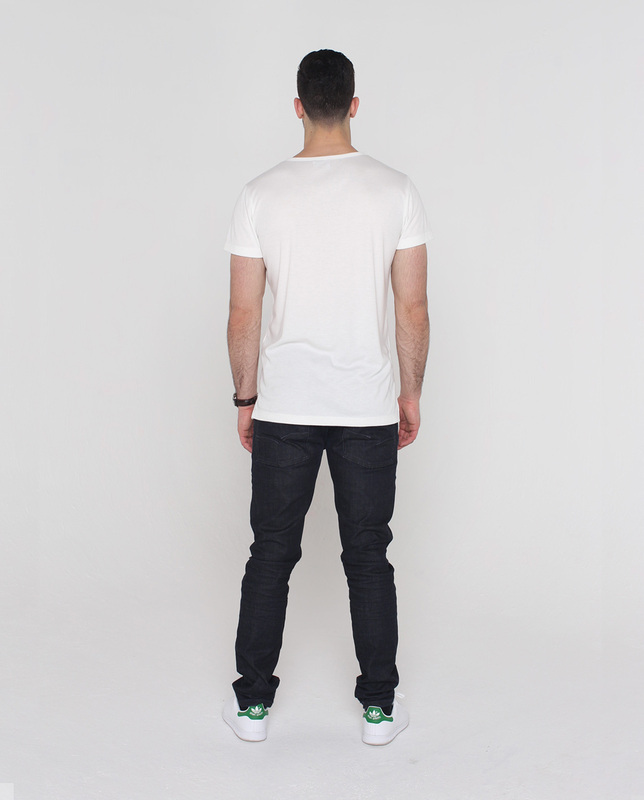 The t-shirt has a relaxed fit with a split hem and is a breathable, absorbent, and durable fabric.